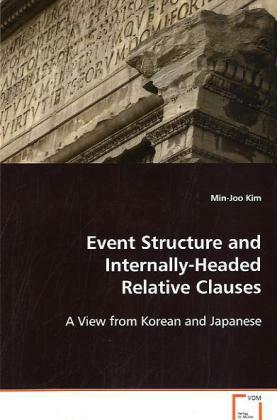 The overarching goal of this study is to investigate§how syntactic, semantic, and pragmatic factors§interact to produce what is called the Internally§Headed Relative Clause construction in Korean and§Japanese. This study shows that the construction s§interpretation is determined by both grammatical§factors and pragmatic factors. In addition, two§sources of the semantic variability of the§construction are isolated. The analysis advanced here§establishes important connections between the§semantics of a definite description and event§structure, thereby solving the particularly§challenging formal-linking problem, one that afflicts§the previous E-type pronoun analyses. It also§provides a constrained but flexible interpretive§mechanism for the construction, eliminating the need§for many of the extra-grammatical constraints that§characterize existing treatments.